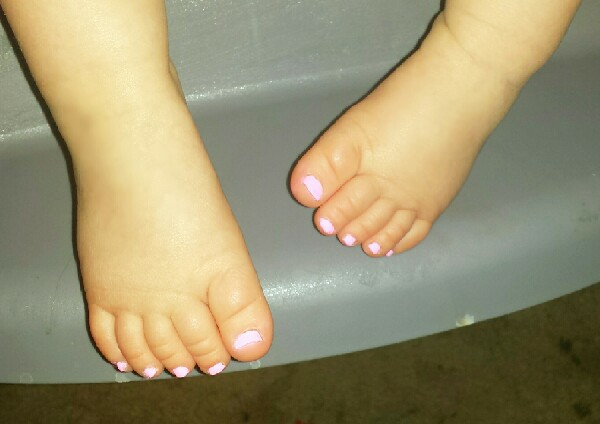 the secret to painting your babys nails safely and flaw free! 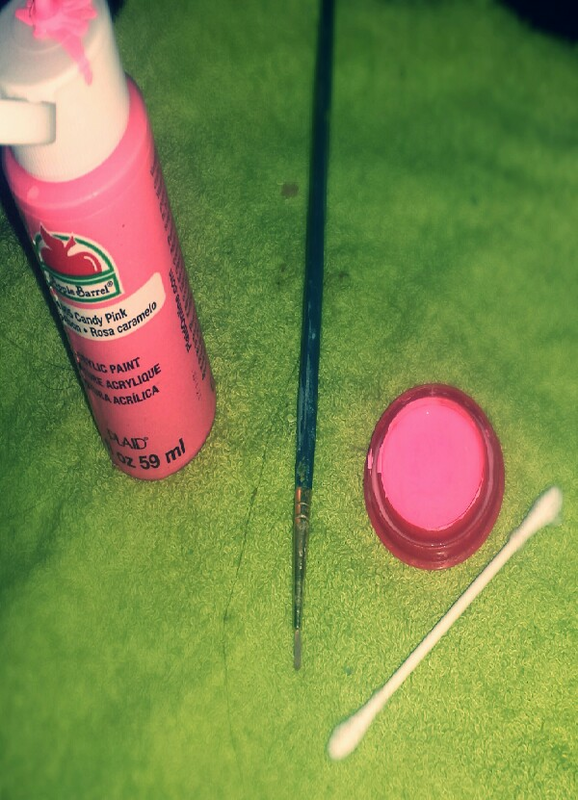 cheap acrylic paint, 50cents at walmart. add a couple drops of water to paint to thin it out. use a damp q tip for any mistakes. It dries almost instantly so baby isnt having time to smudge it. its fairly short term, but its a great option for babies that cant sit still. NON TOXIC!! its perfectly safe on skin. No stinky smell, and no nail polish remover required. Perfectly safe for your baby!